The Falkland Islands are a British Overseas Territory, with full internal self-government. The UK is responsible for foreign affairs, retaining the power “to protect UK interests and to ensure the overall good governance of the territory”. Her Majesty the Queen, Elizabeth II is the head of state. Executive authority is exercised on the monarch’s behalf by the Governor, who in turn appoints the Chief Executive (head of the Civil Service) on the advice of the eight elected members of the Legislative Assembly (MLAs). Decision-making is primarily managed through two key bodies – the Executive Council and the Legislative Assembly. Each MLA has a portfolio of responsibilities they are accountable for, similar to the ministerial system in the UK. There is also a Corporate Management Team, chaired by the Chief Executive and comprising the leaders of each Civil Service Directorate. 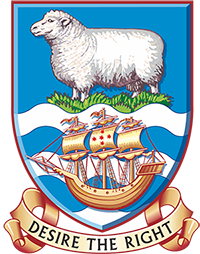 The Falkland Islands Government’s responsibilities encompass all areas of public service, including those typically managed by central government – taxation, legislation and policy, as well as those usually managed on a local level such as town planning, health and social services, and education. The Government also provides services specific to the needs of the Falkland Islands, such as fisheries research, power generation and the Government Air Service, FIGAS. More information about the Falkland Islands Government and Civil Service can be found at: http://www.falklands.gov.fk.